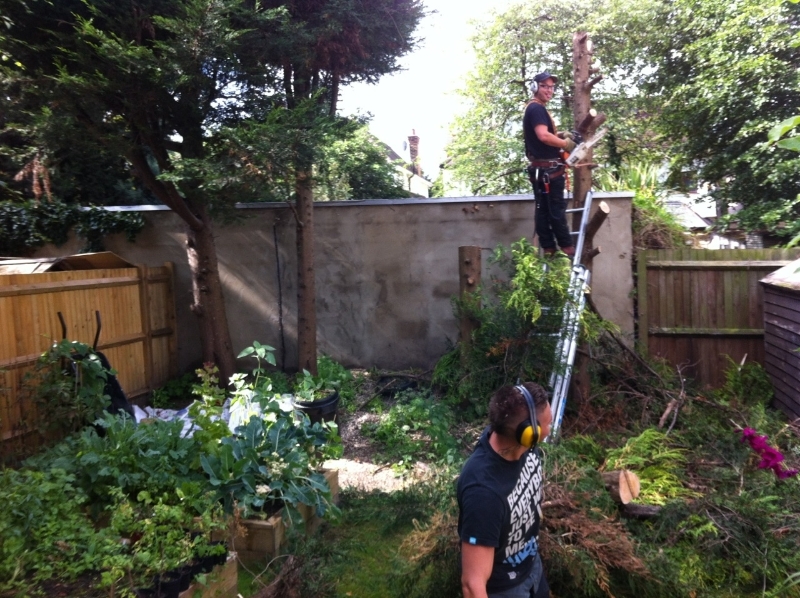 We are Fully Qualified and Insured Tree Surgeons covering Surrey and Berkshire. We always take great pride in our quality of work. 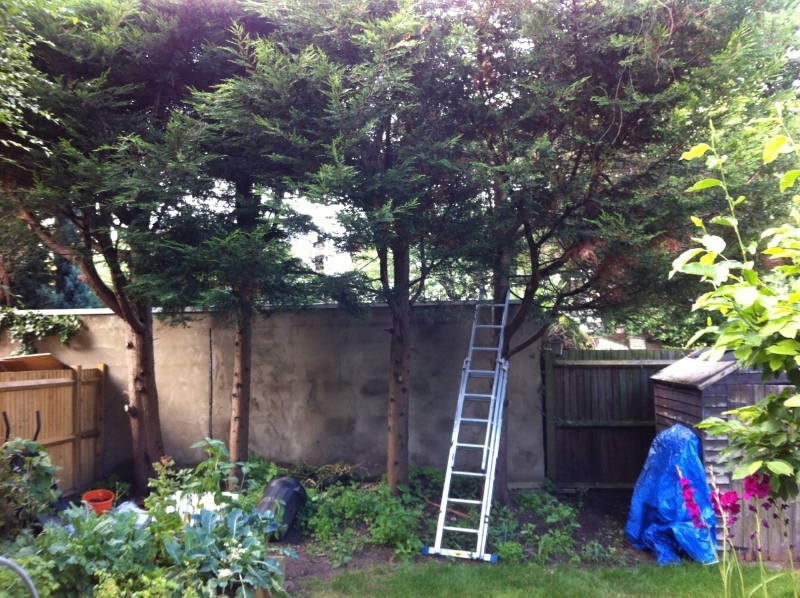 Richard contacted us looking for a Tree Surgeon covering the Camberley area. He had recently moved into his new house in Camberley and at the bottom of his garden was a large, ill-shapen row of Cypress trees. 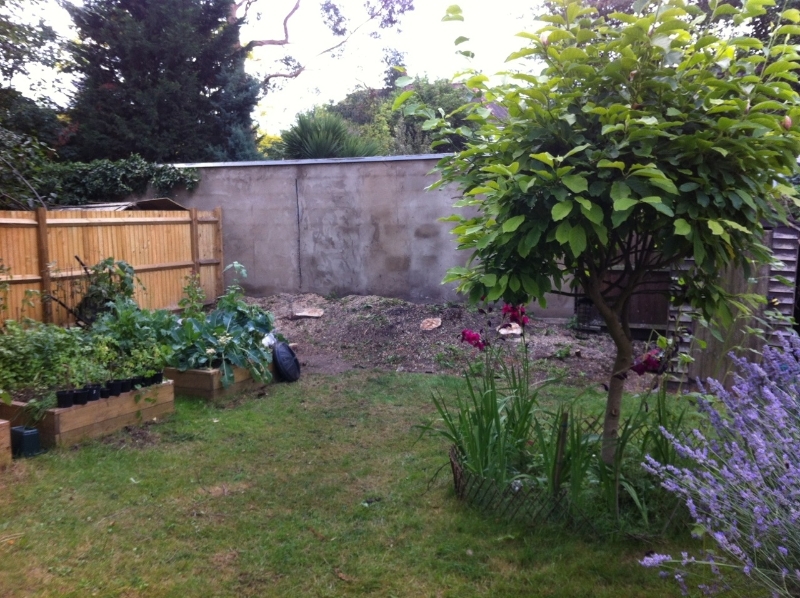 He imagined they were originally planted to hide the concrete garage at the end of his garden but they were no longer fulfilling this aim due to neglect and poor previous works. We come across this problem on a regular basis. People plant Cypress trees, as a quick fix to provide a screen. They are evergreen and grow quickly. The problem is that they can grow tall very quickly, leaving little growth at low level unless properly maintained. They must be maintained on a regular basis to keep the fresh green growth where you need it. Trees grow towards the sun, in this case at the top; therefore no screening is left at low level. If these trees were pruned on a regular basis in their earlier years they would be more like a hedge and function as a screen. Unfortunately, when the trees are left this long there is no fix other than to fell them and re-plant new ones. Please see the pictures below of Tree Surgeon Camberley works. "Highly recommend the tree clinic. Good value, very informative friendly and professional...."